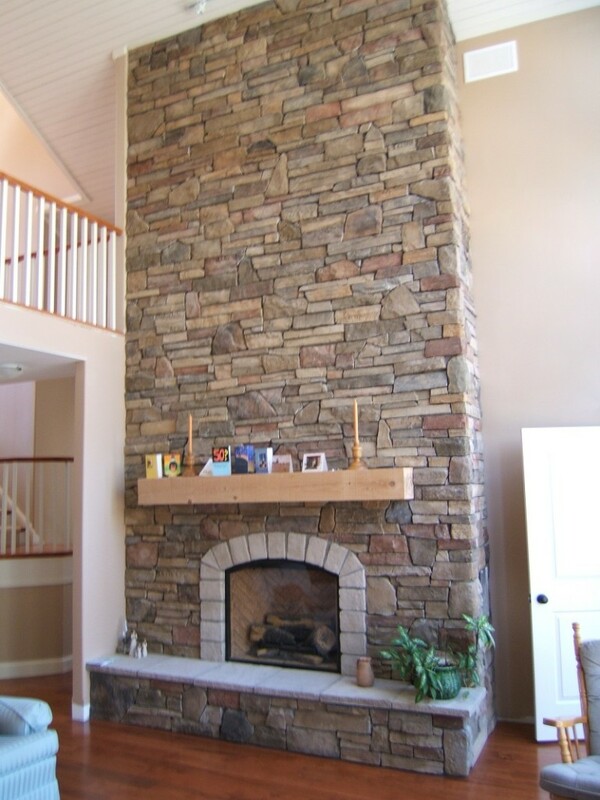 San Francisco Cobble Field by Cultured Stone. 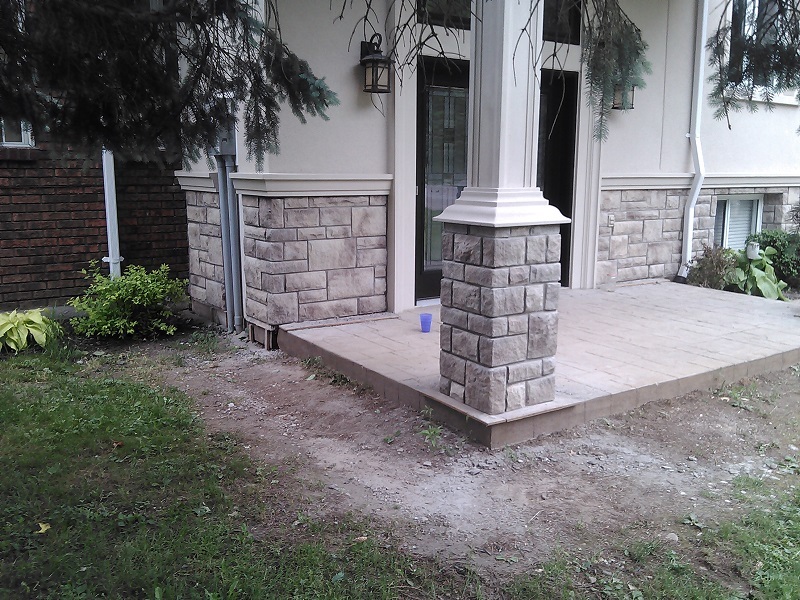 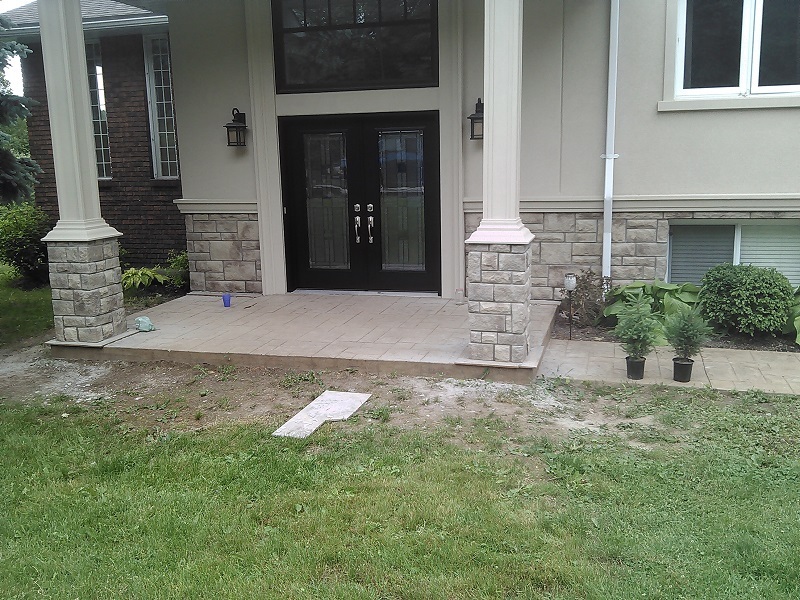 Wainscoting of stone veneer with front entrance and pillars done in same stone. 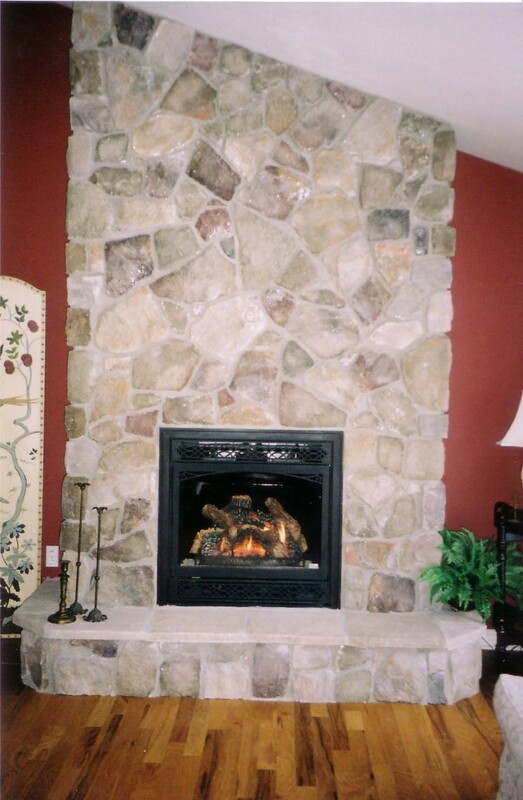 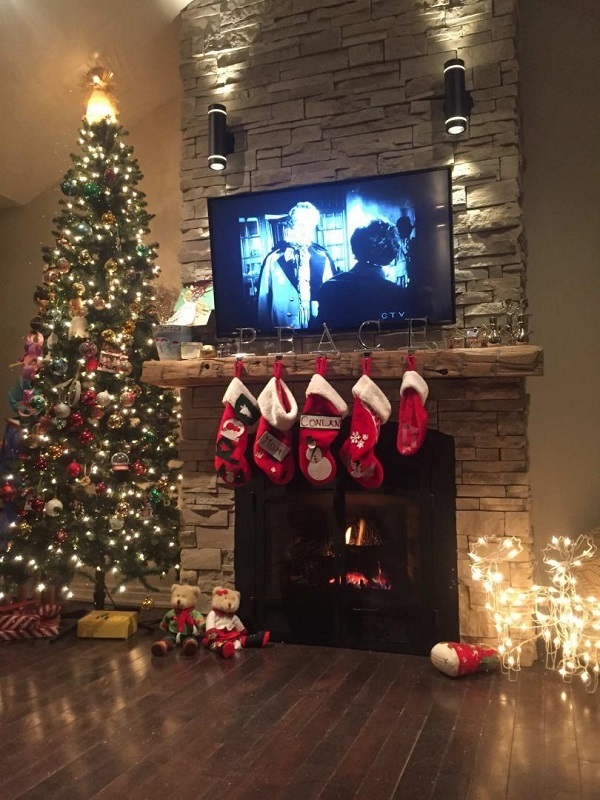 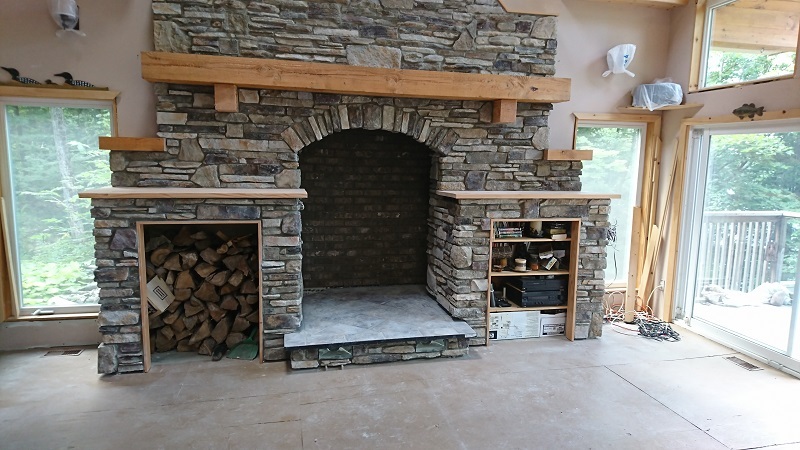 An arched fireplace for a wood burning stove with a blend of Bucks County ledge stone and 20__5_5_5__ Bucks County field stone. 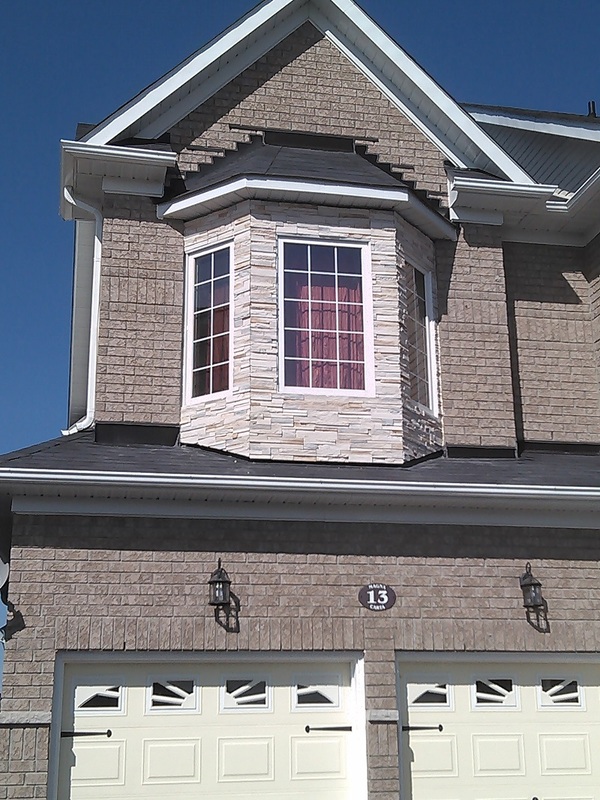 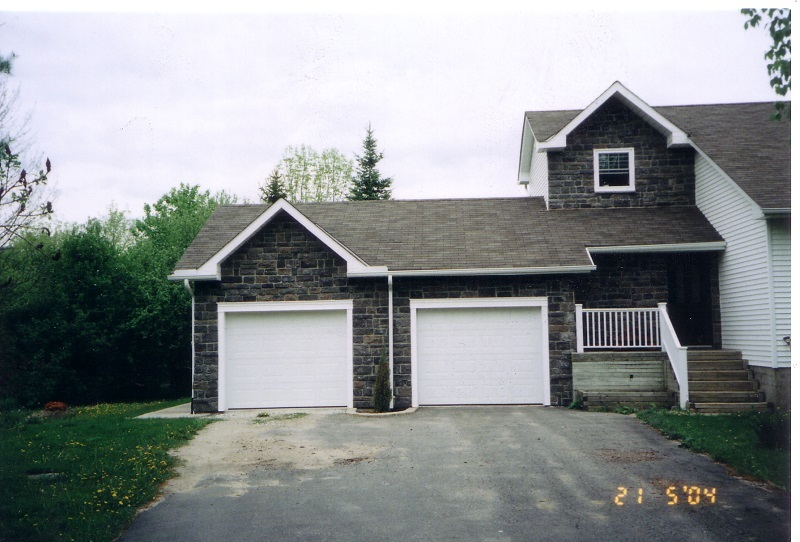 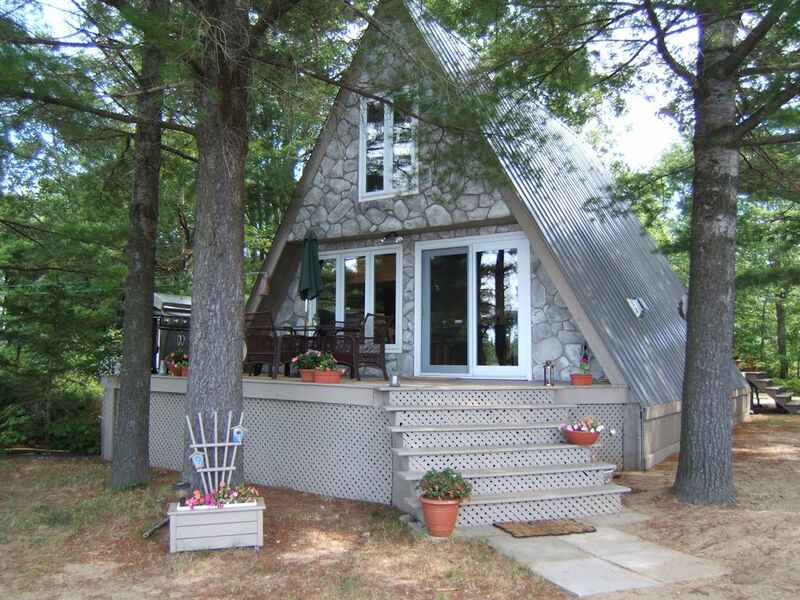 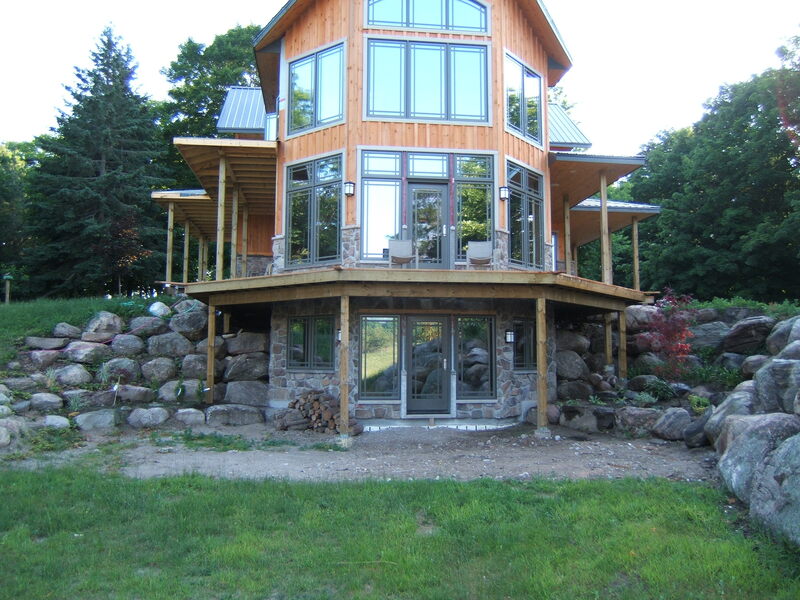 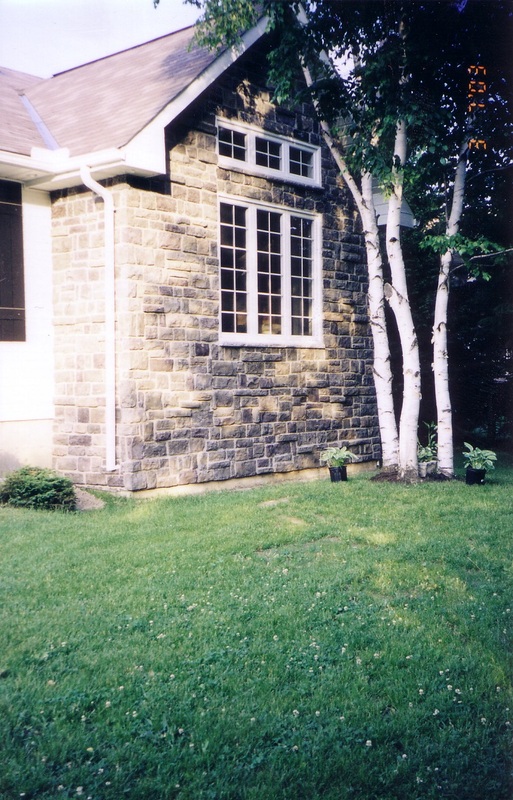 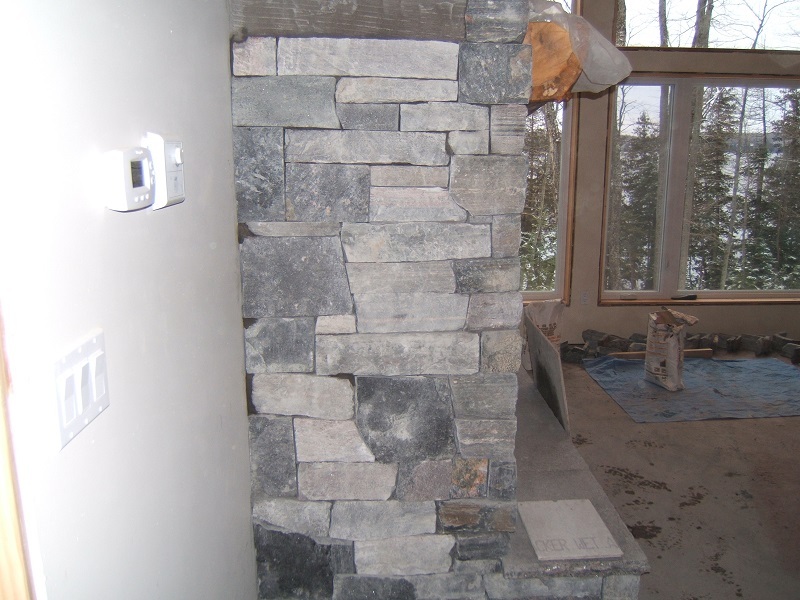 Real stone veneer with white over grout. 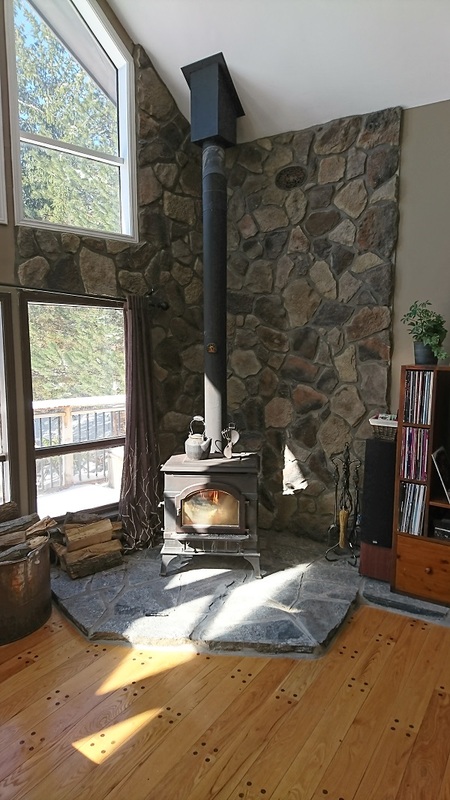 Granite hearth as base for wood stove. 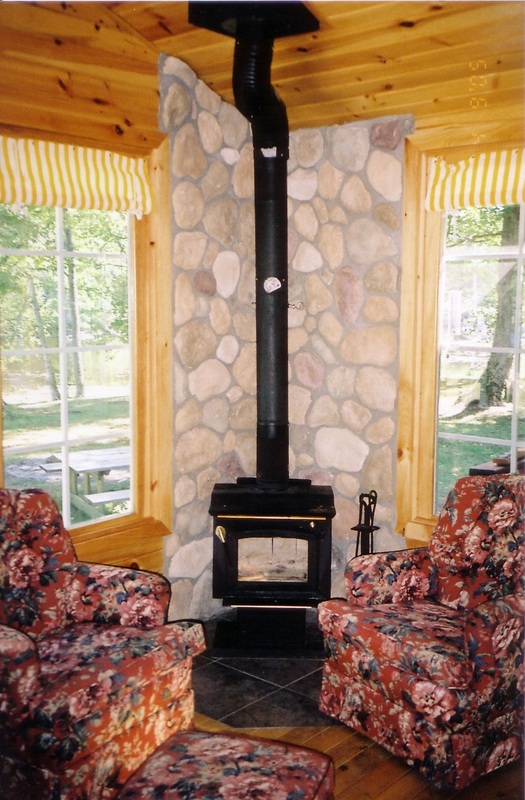 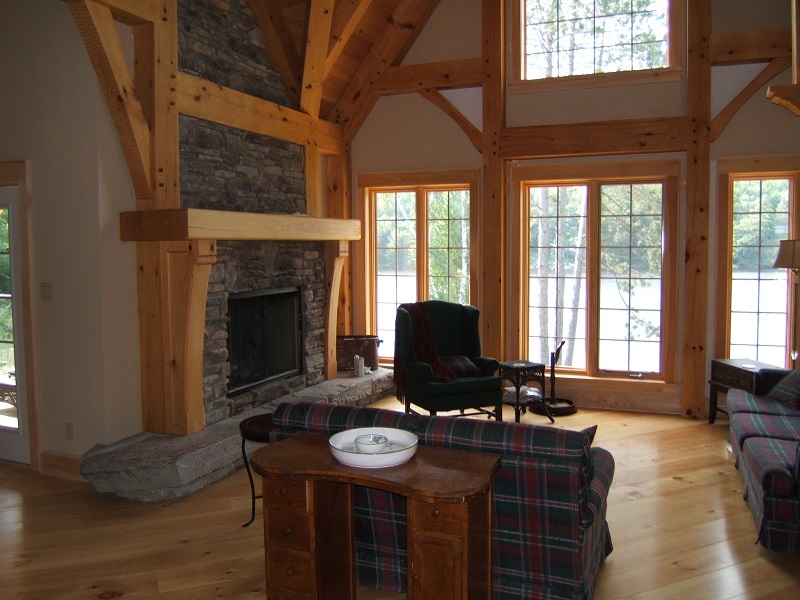 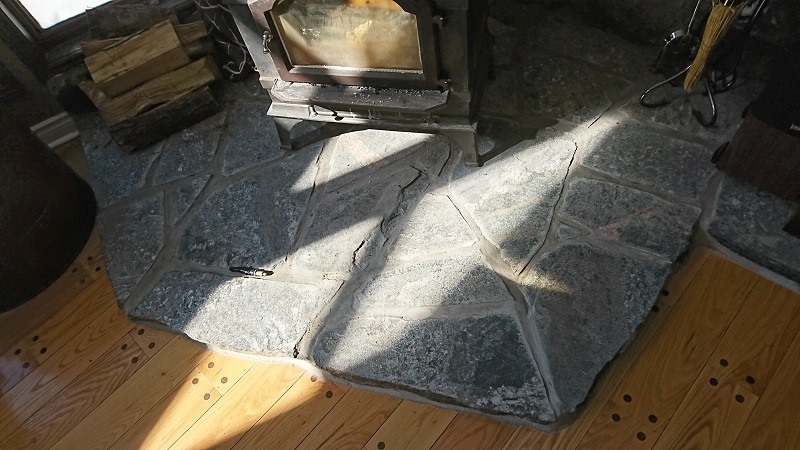 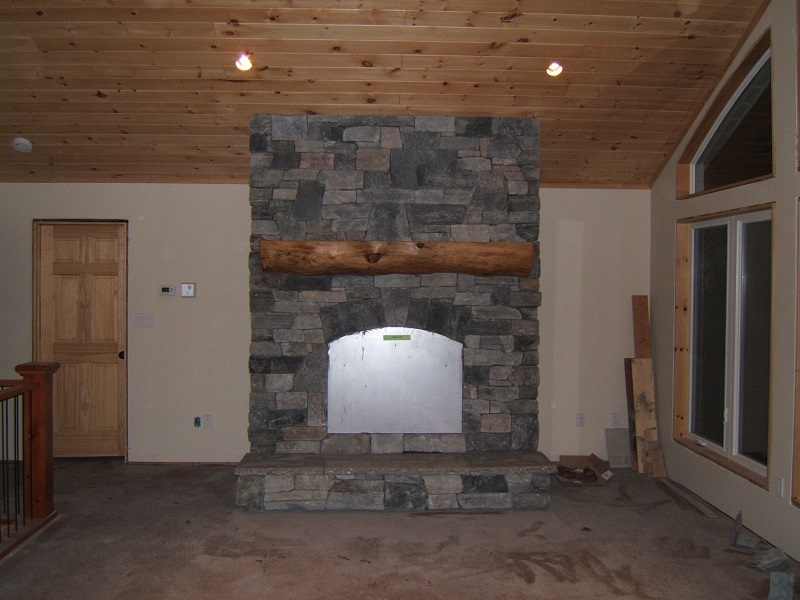 Granite hearth as a base for wood stove. 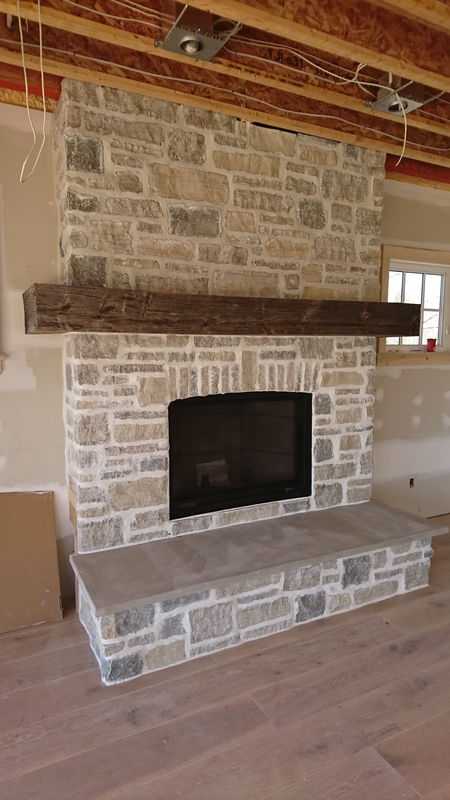 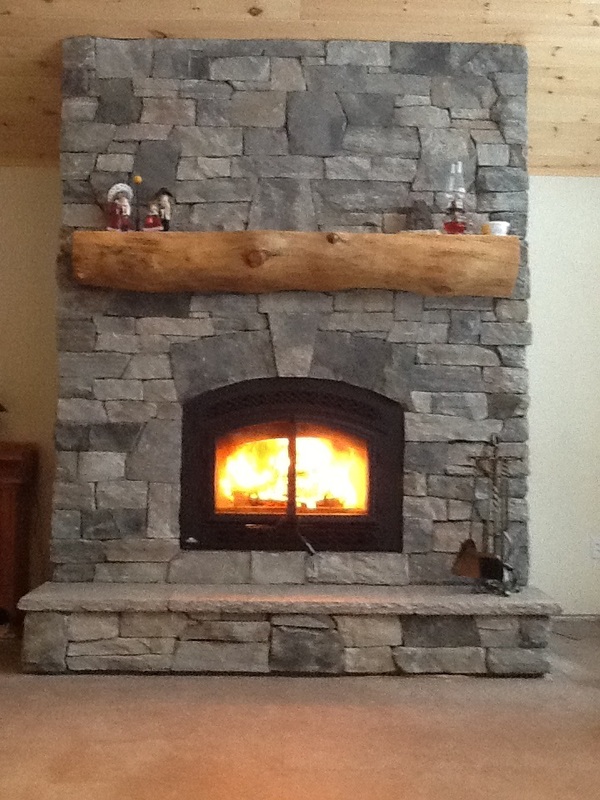 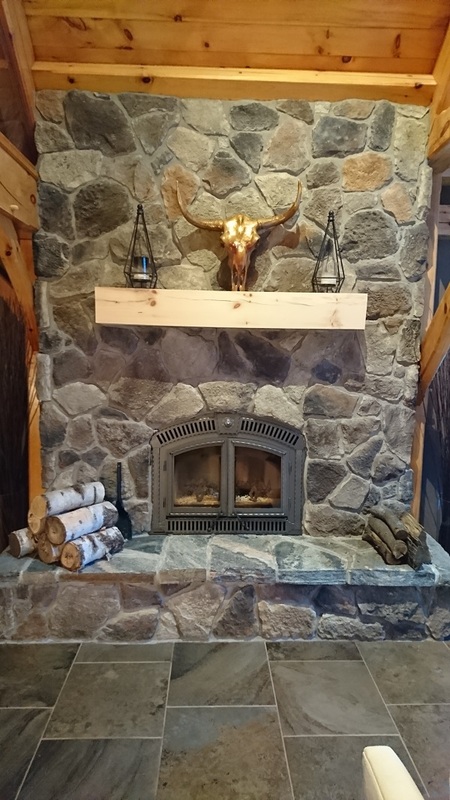 Canyon stone veneer (Driftwood field stone) surround for a wood stove. 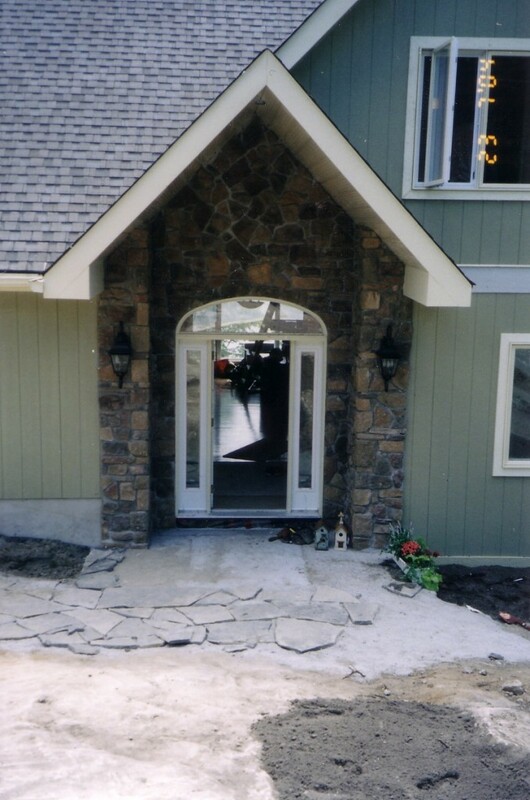 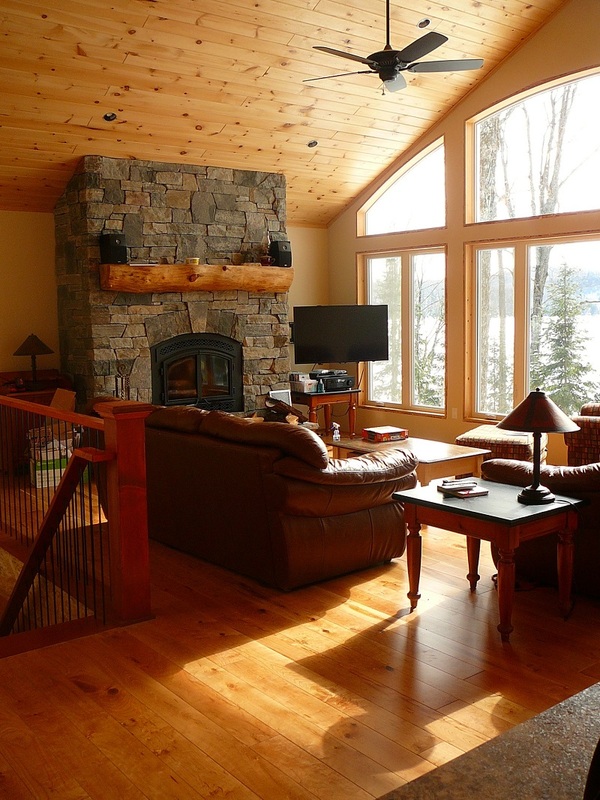 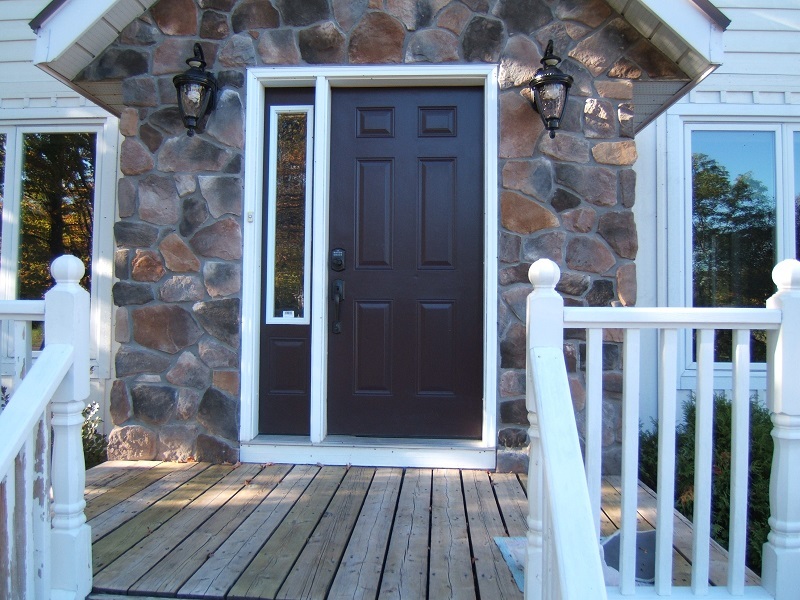 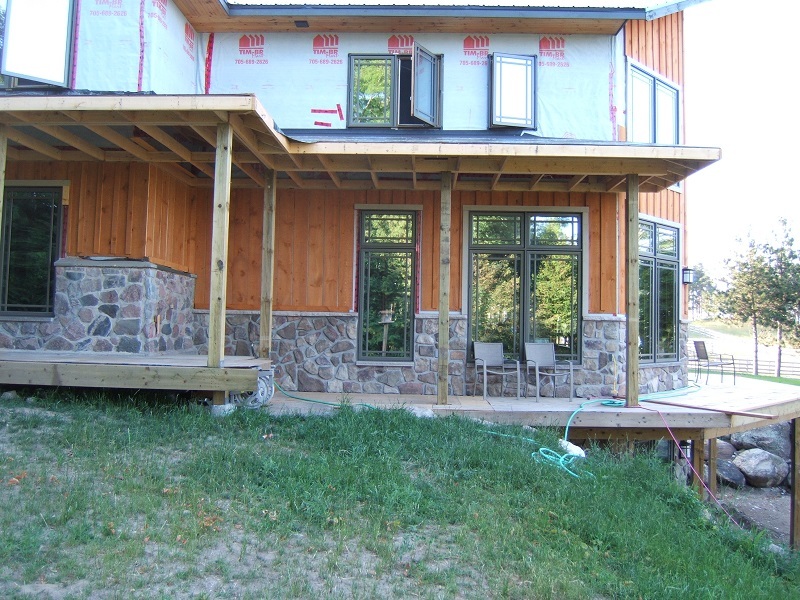 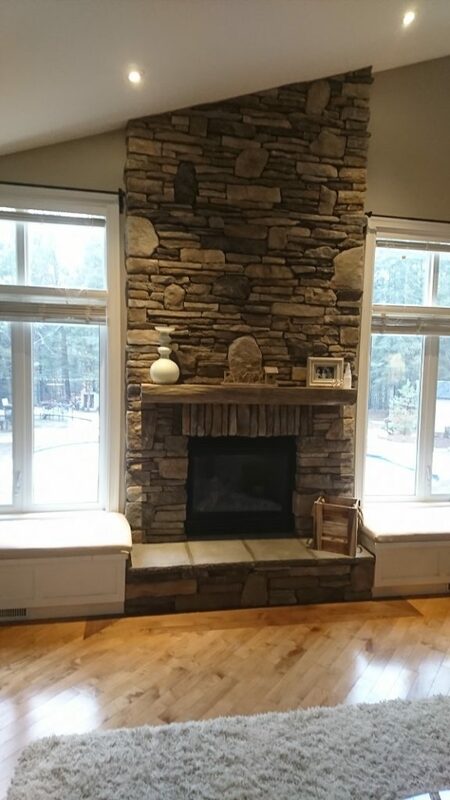 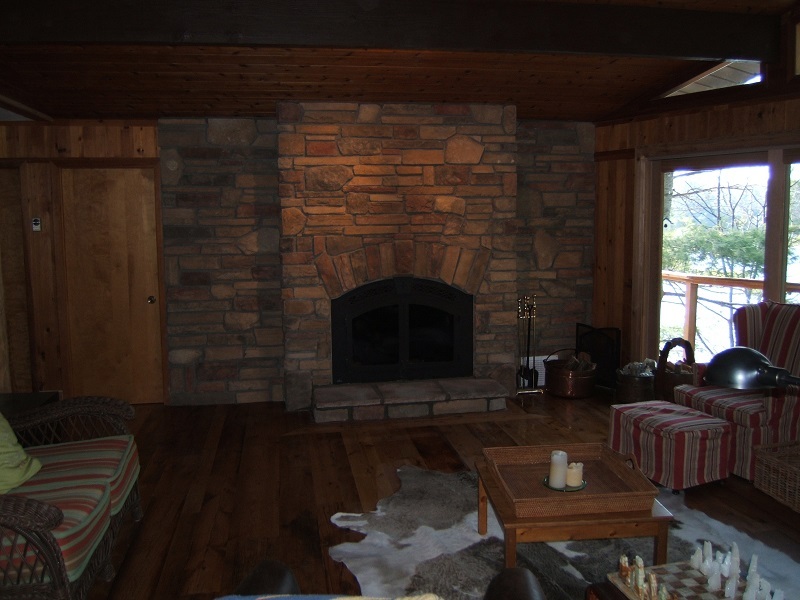 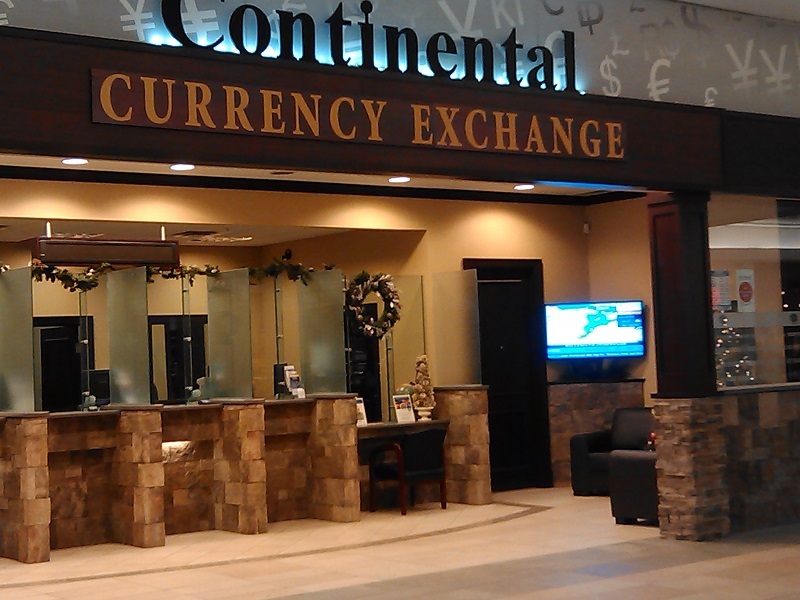 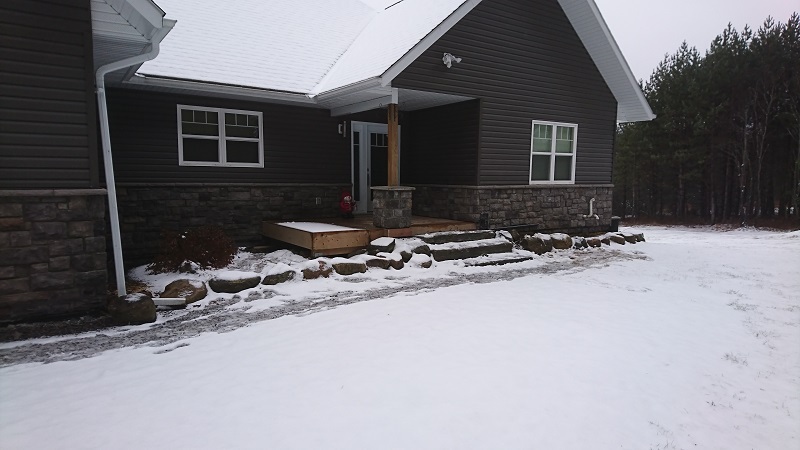 Aspen cultured field stone as a wainscoting and on pillars. 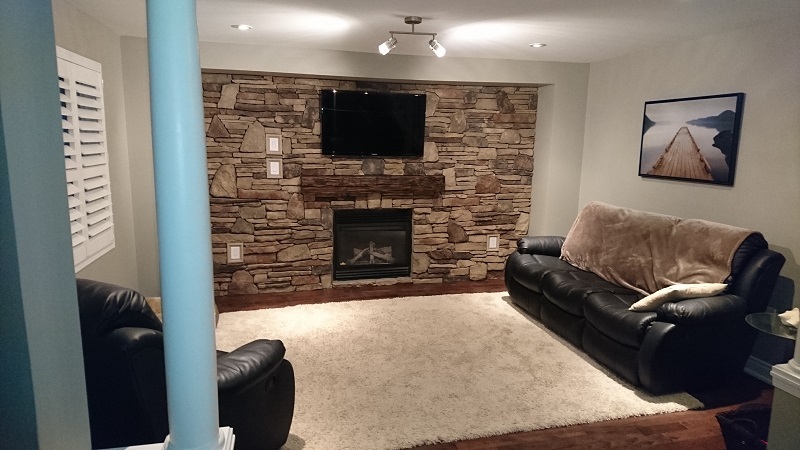 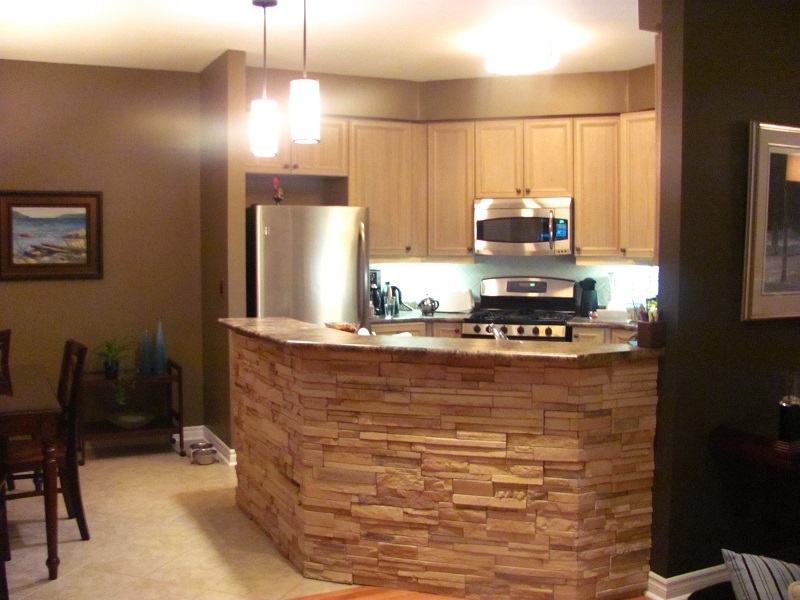 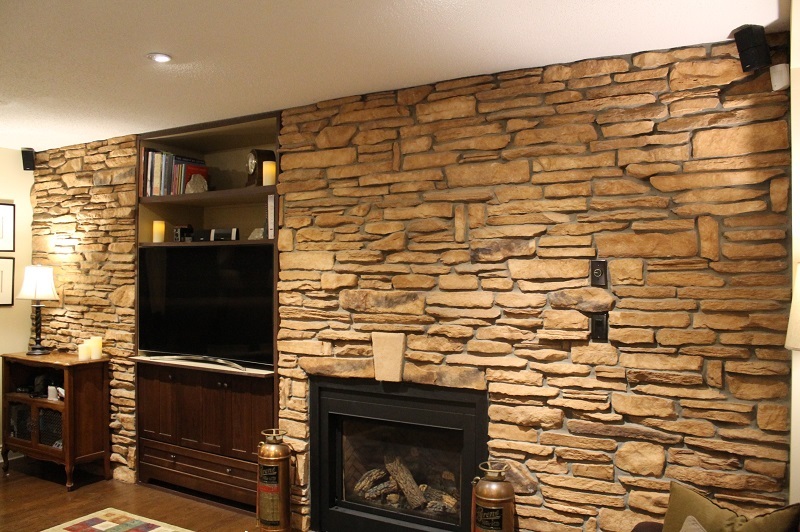 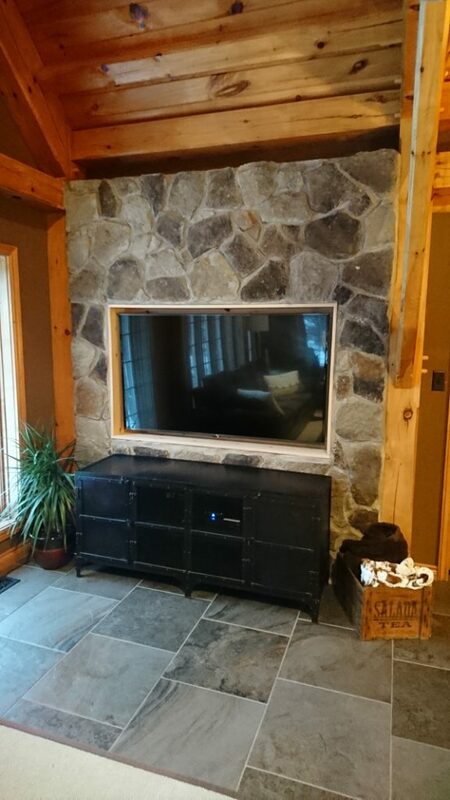 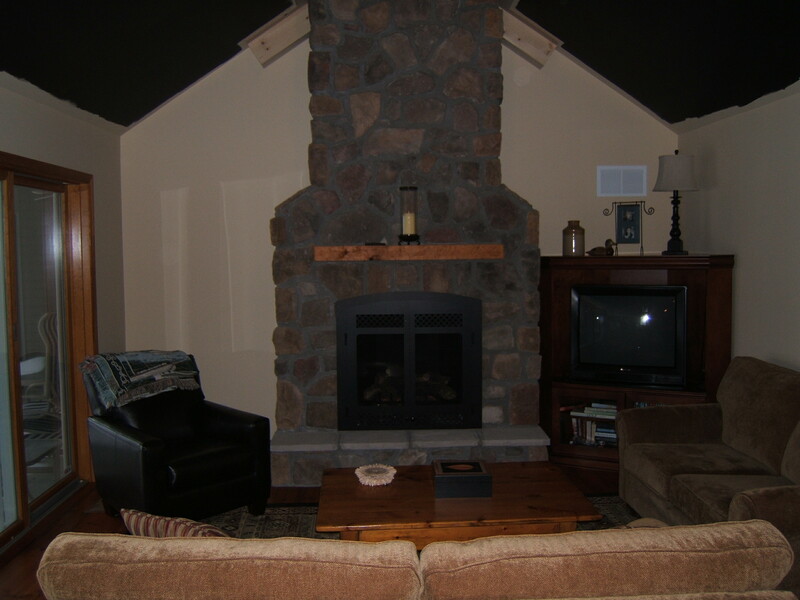 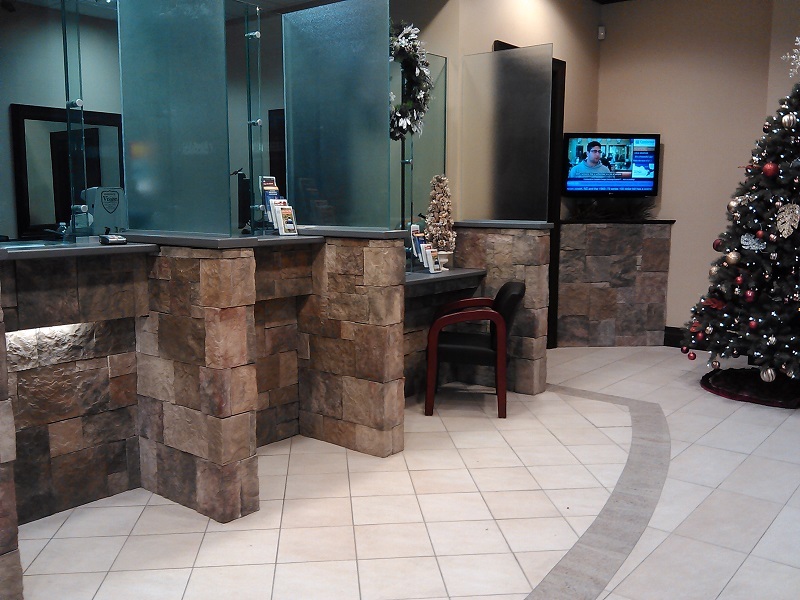 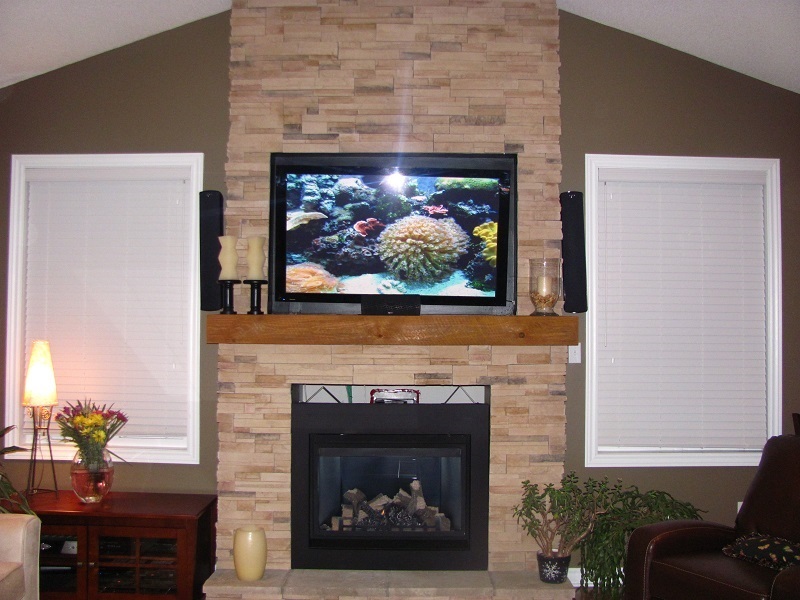 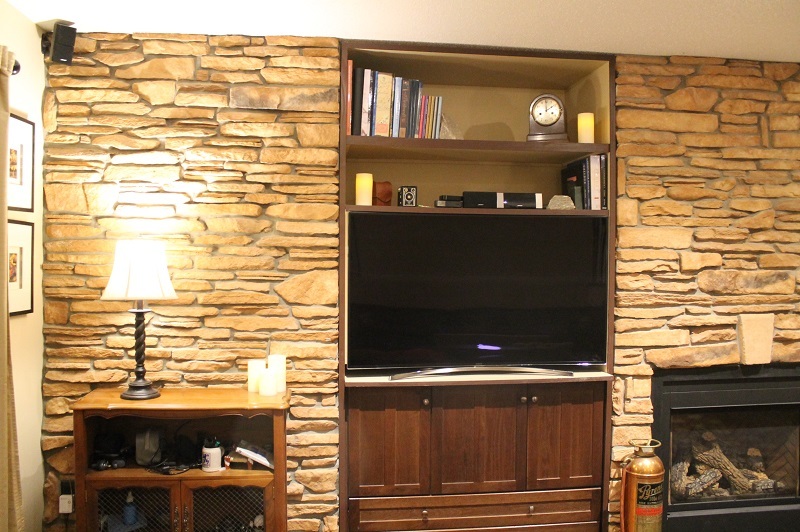 Canyon Stone field stone on an accent wall with inset TV. 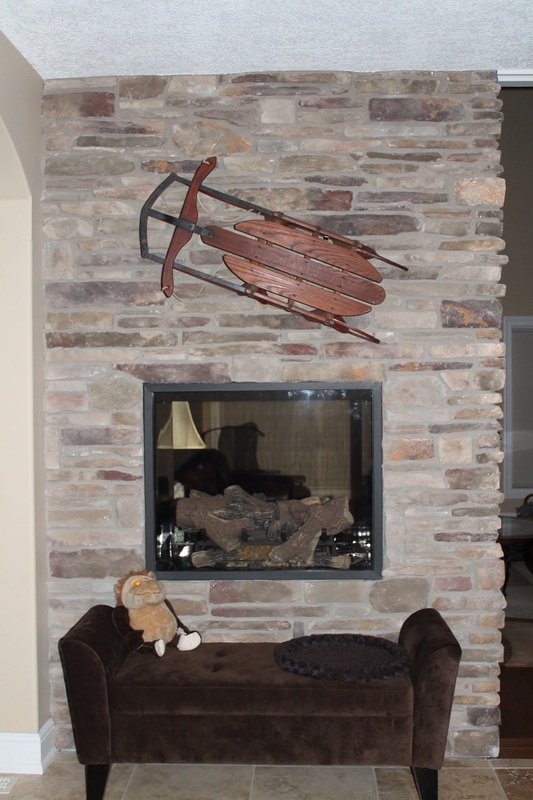 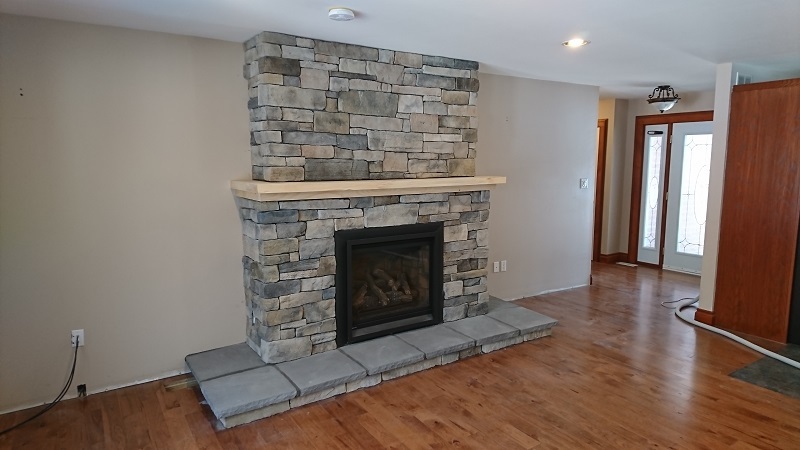 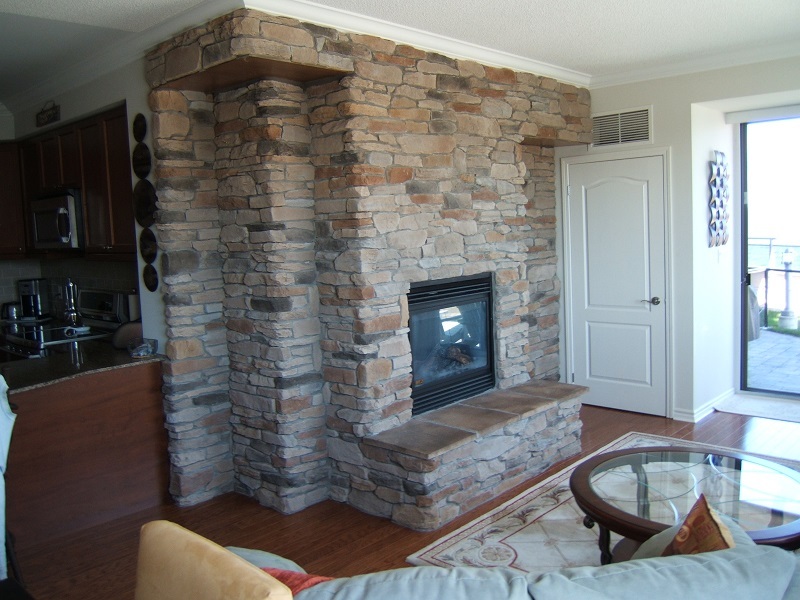 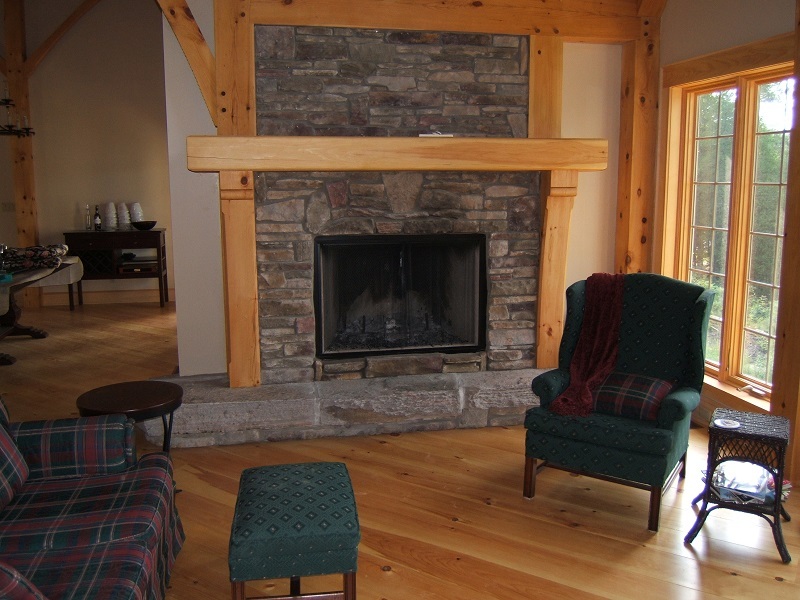 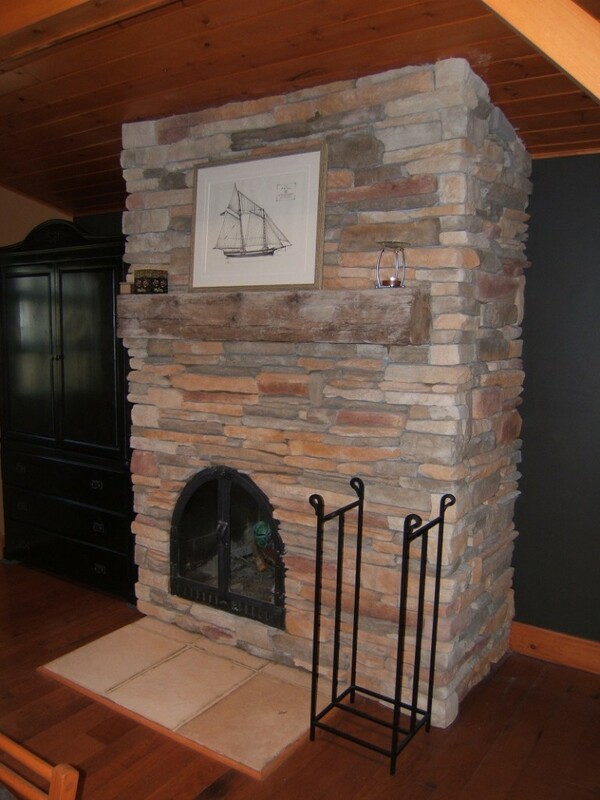 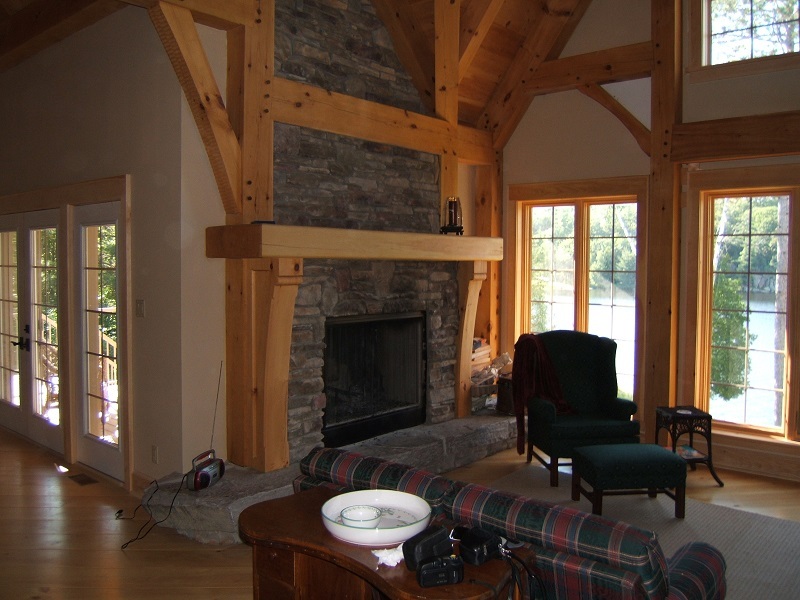 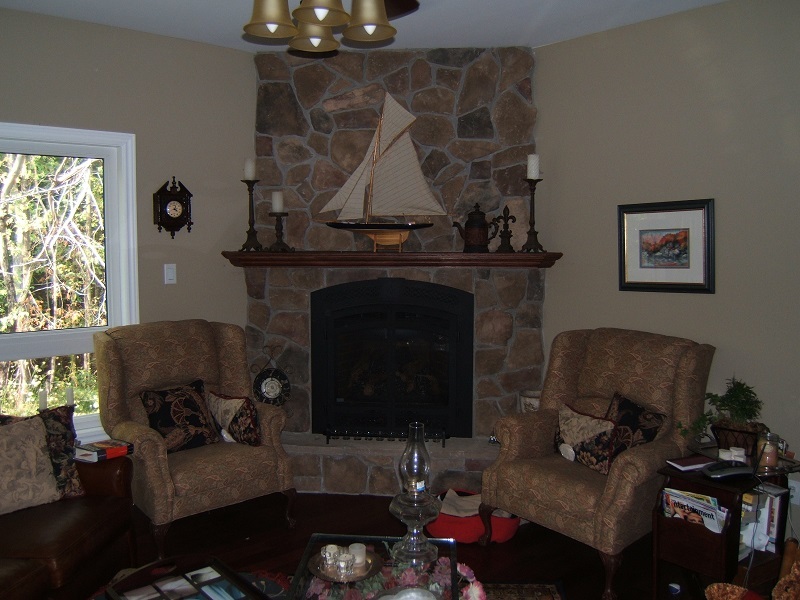 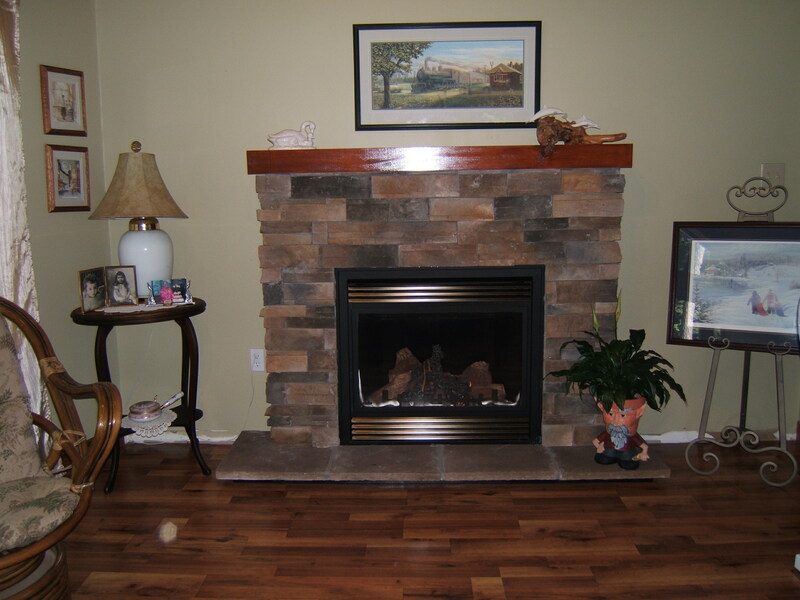 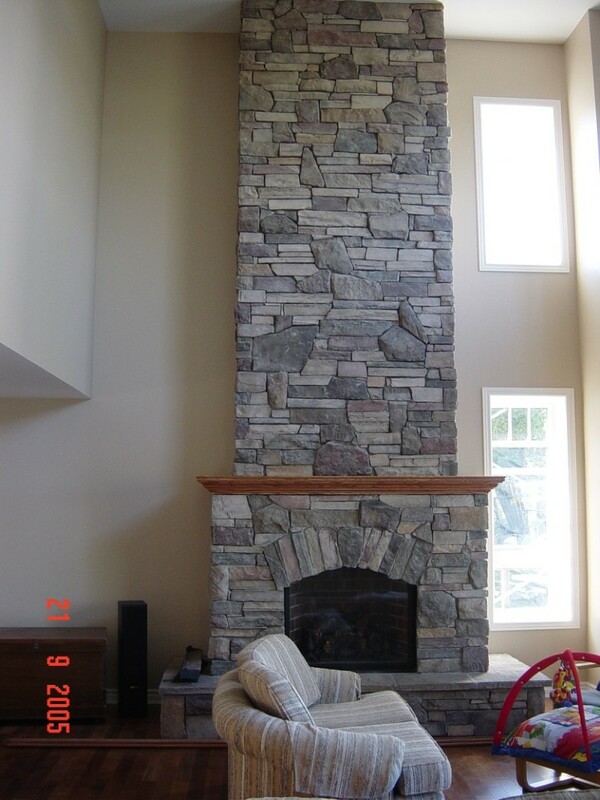 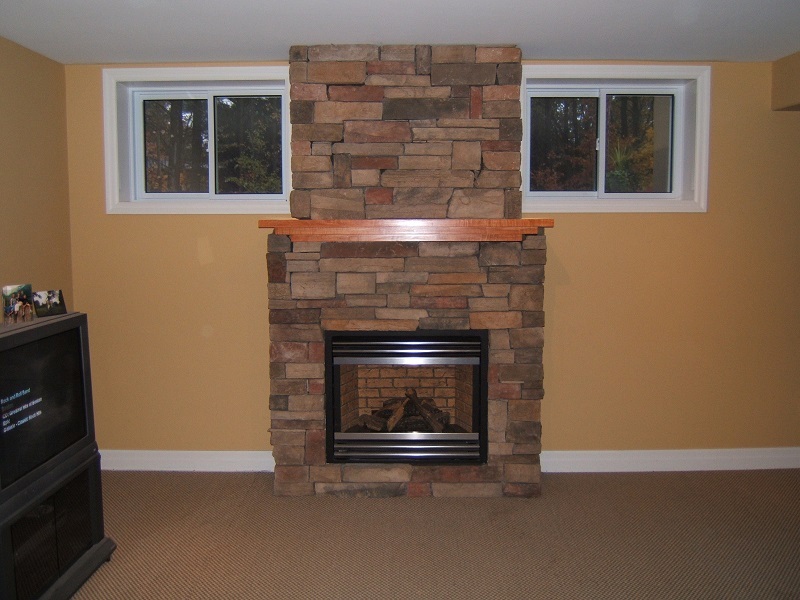 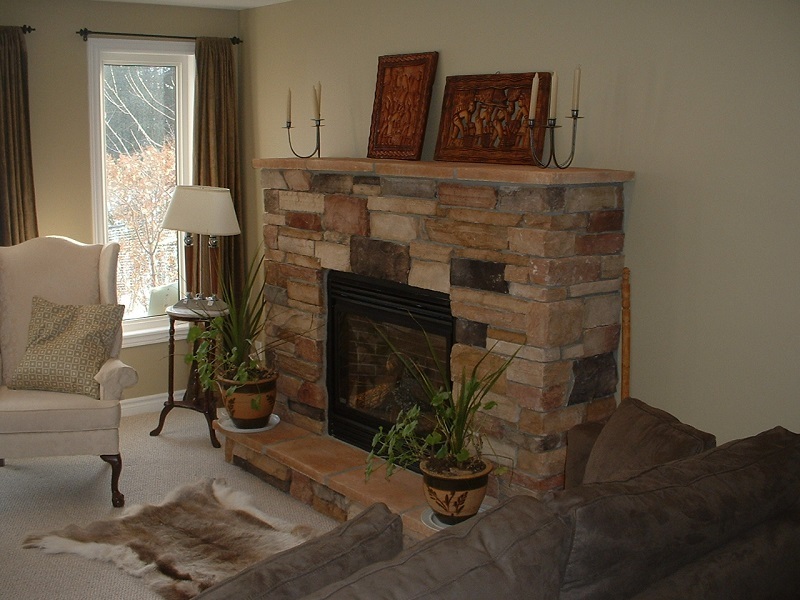 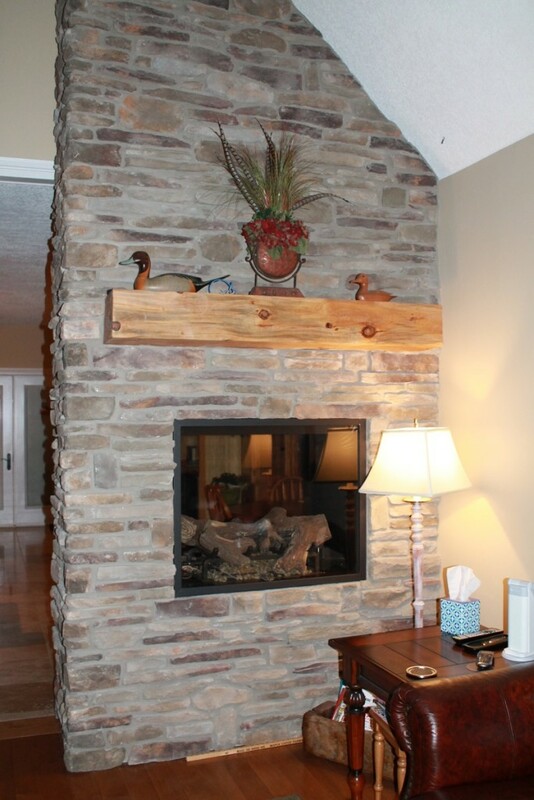 Dutch Quality dry stack stone on living room fireplace. 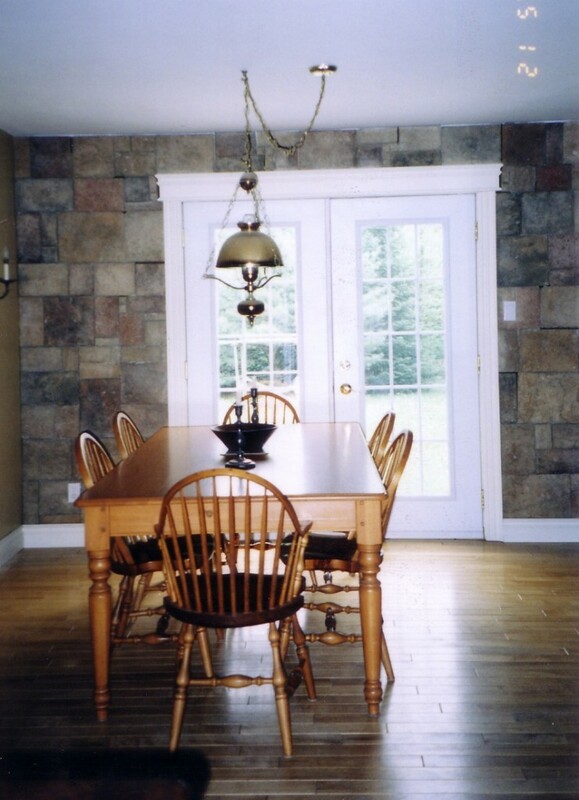 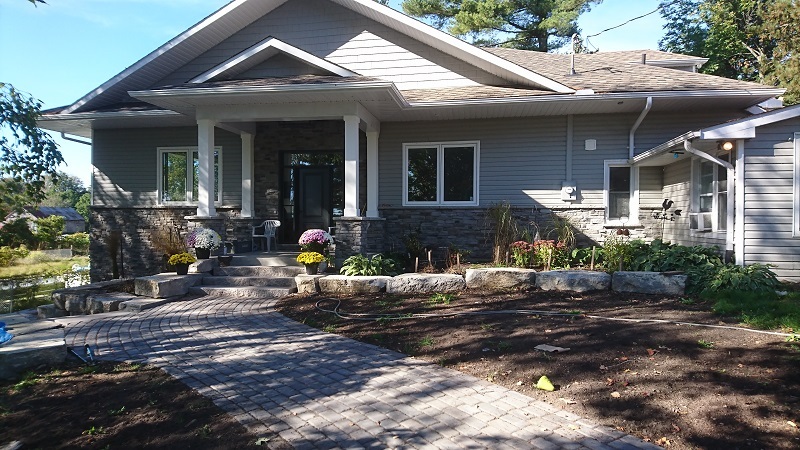 A blend of chardonnay southern ledge stone with chardonnay field stone on an accent wall. 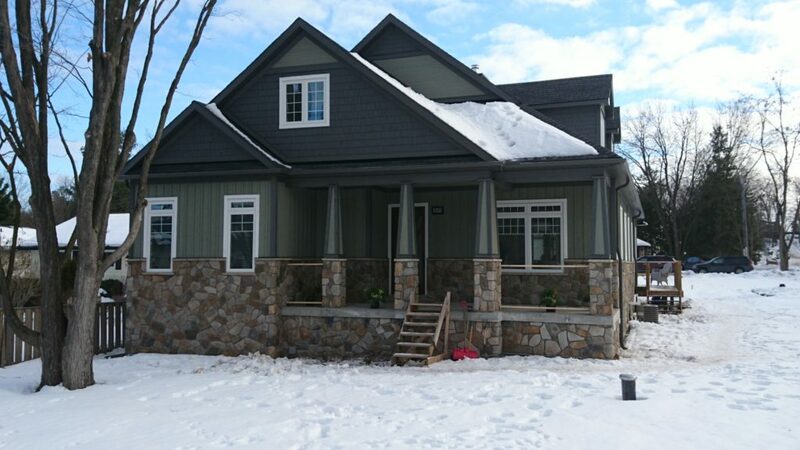 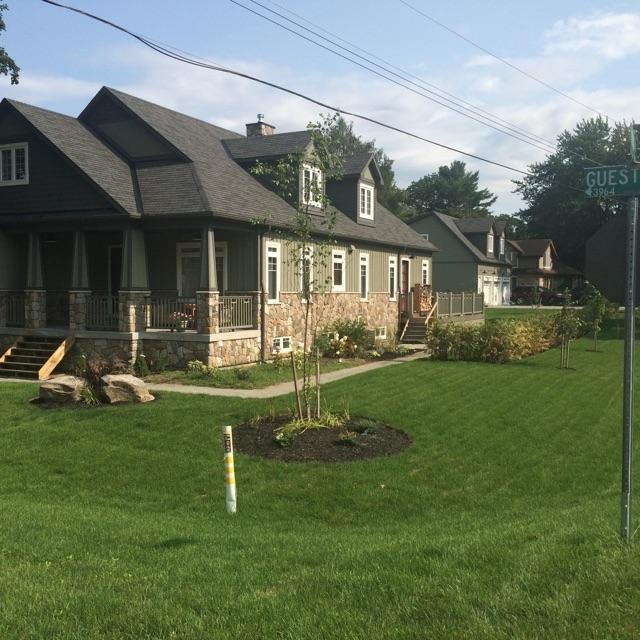 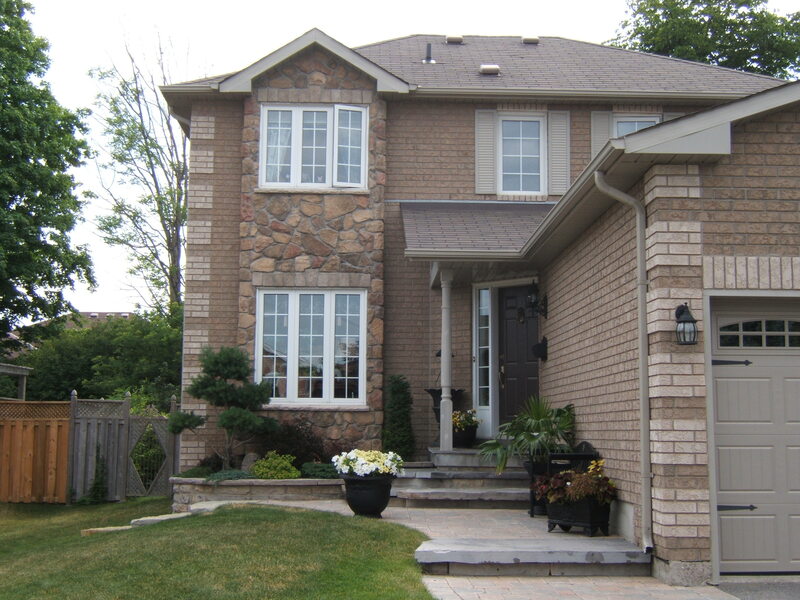 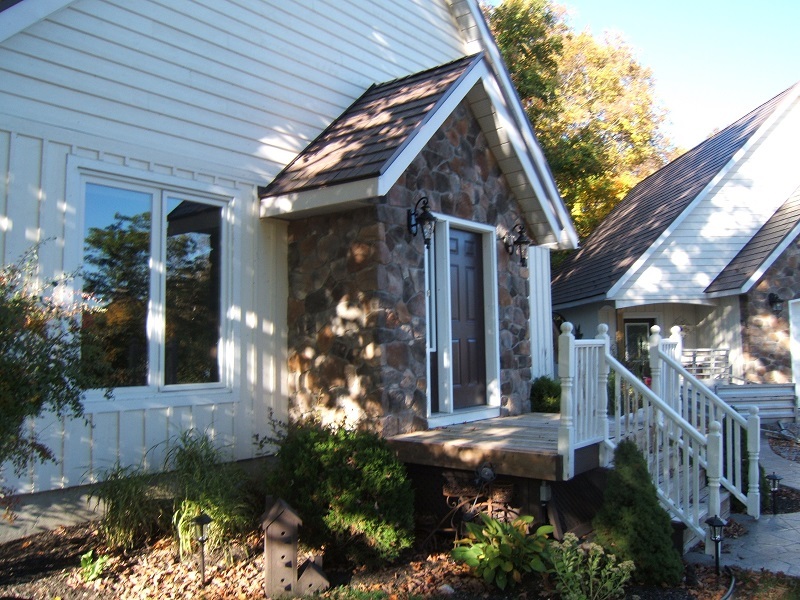 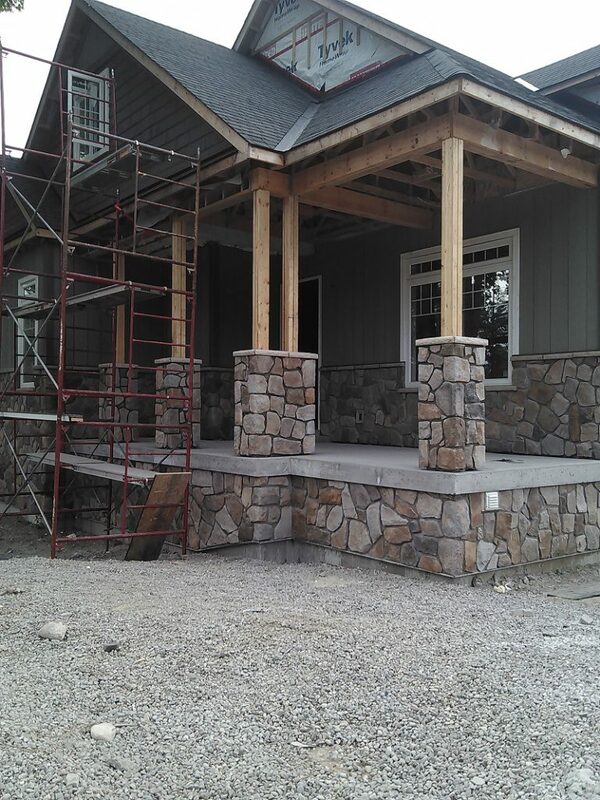 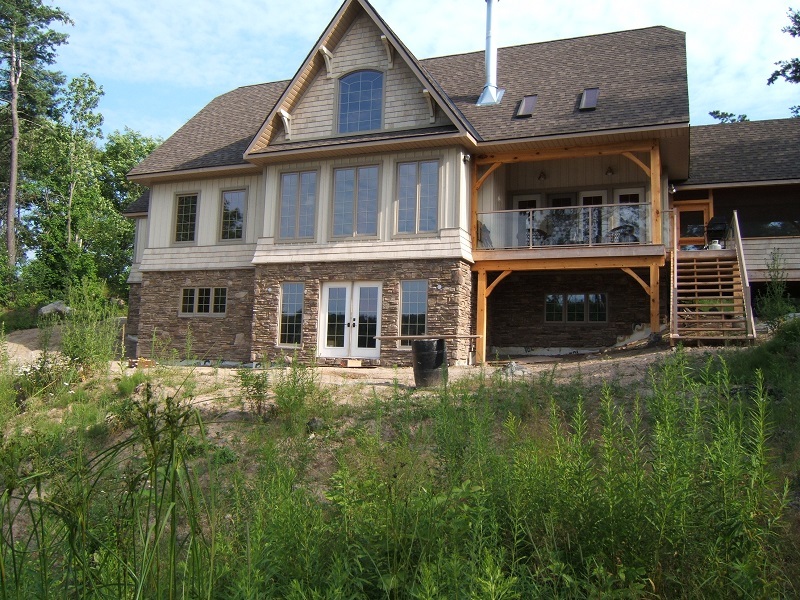 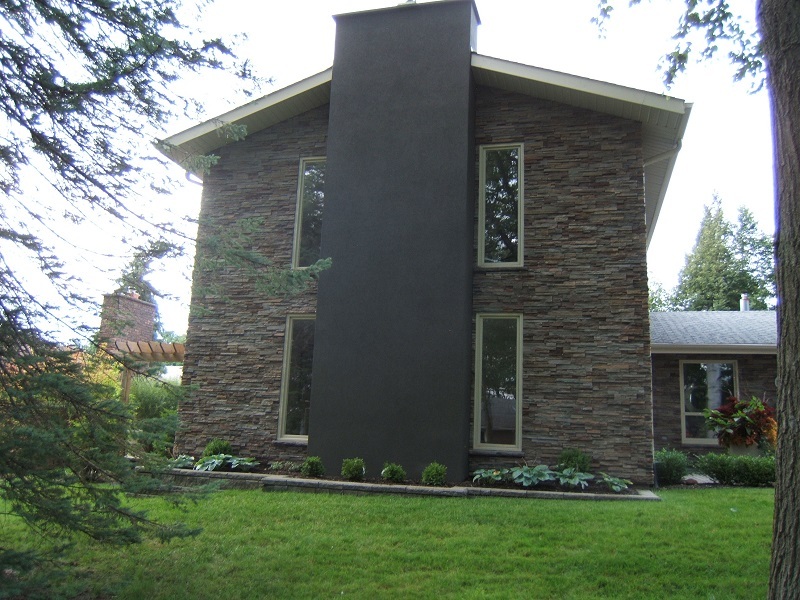 Stone veneer on pillars and wainscoting of remodeled home.